Reviews and ratings have become the primary source of information for people on the online shopping path. Ecommerce product reviews boost sales, foster customer trust and build customer loyalty. Product reviews validate your products as worth-buying. This image shows that reviews have become ubiquitous and the most expected part of the online purchasing process. 88% of shoppers trust online reviews the same way they’d trust a personal recommendation from a family member or friend. 31% more money for on the shopping is spent by customers on businesses with excellent reviews. 90% of customers purchased after being influenced by online reviews. 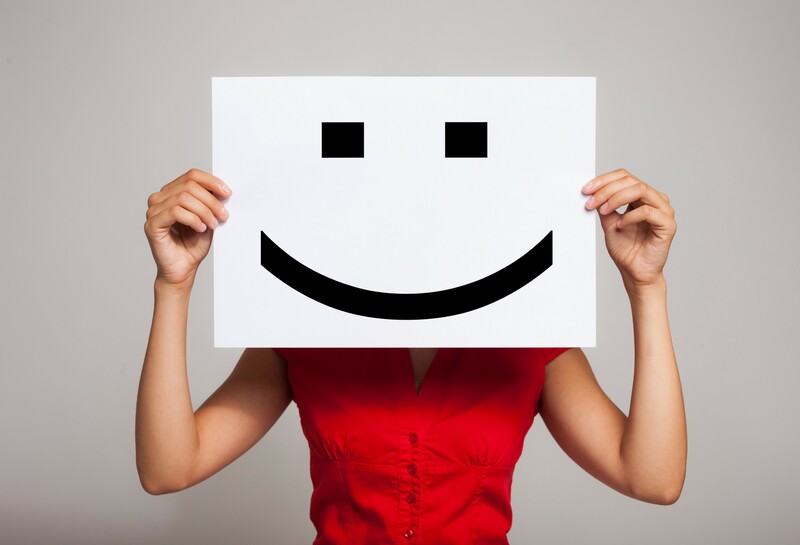 Nearly 72% of customers decide to buy online after reading a positive review. 58% of shoppers believe star-rating as the most important part of a business. Nearly 80% of shoppers from the USA trust brands with online reviews more than those without product reviews. Review help build customer trust by allowing people to hear an objective and true opinion on your products. When they reads a product review from someone, who has purchased and used the product they trust the product lives up to the hype. A customer review on your e store may sell better than the product description you’ve written yourself. Allowing your customers to post pictures of their product with the review text helps prove the popularity of your brand. Customers see a real-life image of the product that is untouched by Photoshop. 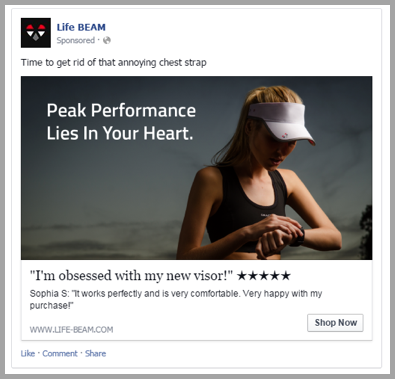 According to the type of images a customer posts, you can share it on your social media for product marketing as well. You might have noticed the star rating of a product in Google search when browsing listings. A high star rating on your product that appears on page listings validates your brand’s popularity and boosts organic traffic to your online store. If your competitors don’t have a rating on their link, you’re more likely to get clicks. Customers prefer buying products with a high rating and a high number of reviews. Don’t worry if you get negative reviews on certain products. Negative reviews help you better understand what your customers want. Use this honest information provided by your customers to improve the quality of your offerings and customer service. Ecommerce product reviews may help improve the search engine ranking of your store in several ways. 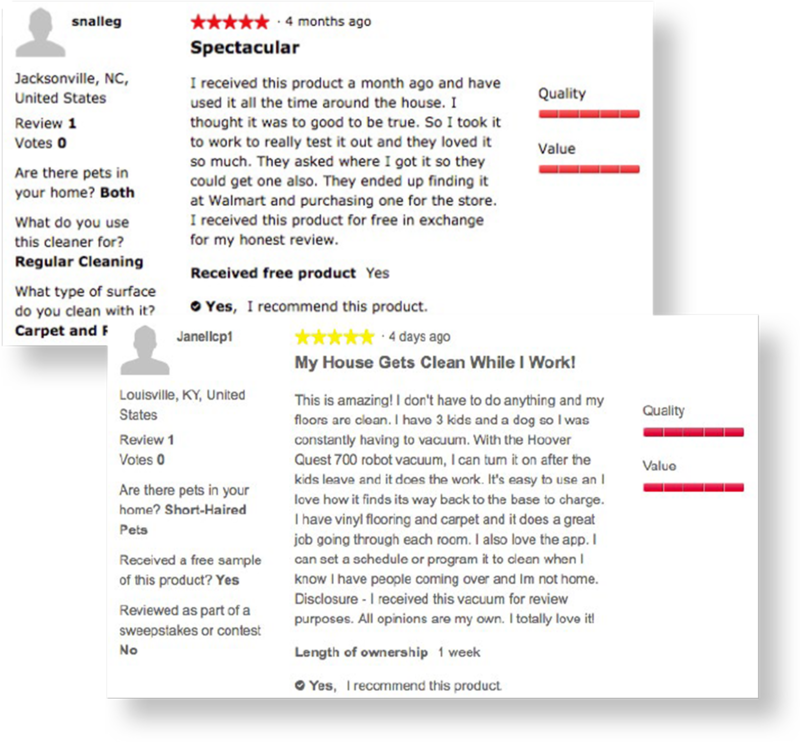 New reviews on your product page regularly refresh the product page with new content. It shows Google that your page is constantly being refreshed. As the page becomes more active because of regular product reviews, Google starts featuring more information in its listings, including star rating and number of reviews, price of the product, etc. You’ll get ranked for long-tail keywords. It will also help you get ranking for review searches under your brand name like [‘brand name’ review]. Customers feel happy to contribute only if you make it easy for them. Don’t make them to put efforts and jump hoops through several pages. Don’t ask them to log in to review a product. Make it easy like a breeze for them. 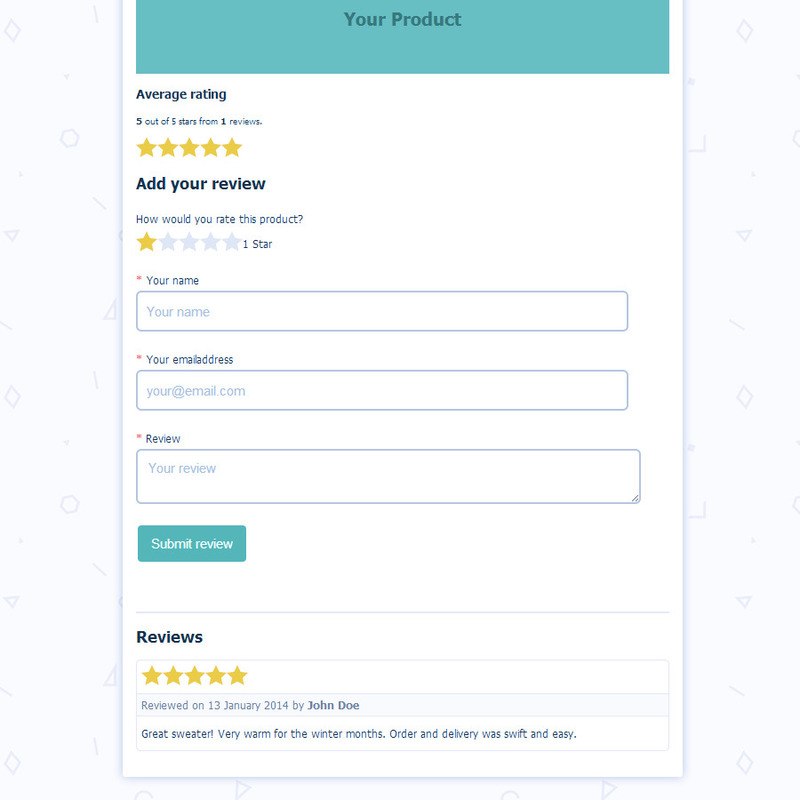 The best way to achieve this is add your review form on product pages to allow satisfied customers leave their valuable reviews easily about a particular product. It not only engages your customers, but also drastically increases the conversion rate of your ecommerce store as well. 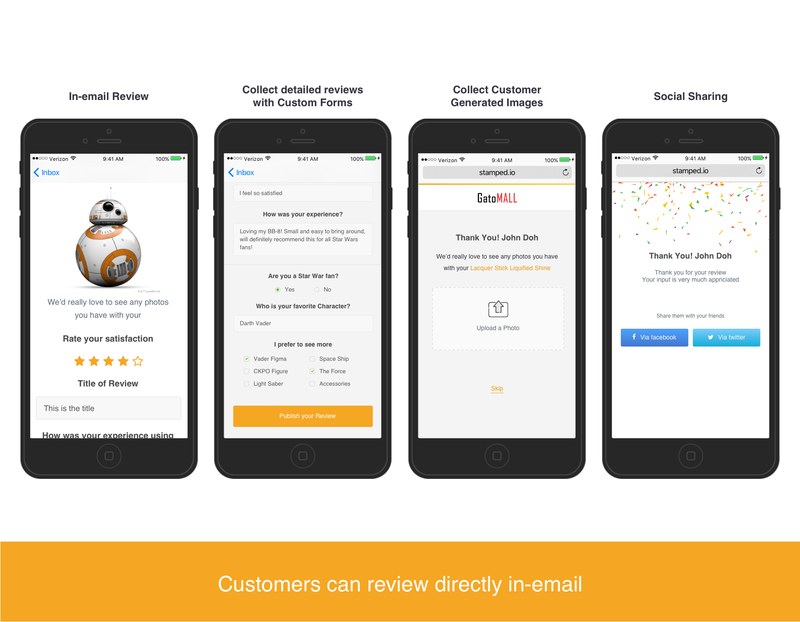 Accompany your review forms with a star rating feature. Star rating is highly helpful for your potential customers, especially for those who don’t have much time to read a lengthy review. Mobile optimization of your ecommerce store is, well, not more an option. It’s mandatory! Otherwise, you will lag behind the growing competition in the ecommerce landscape. In fact, according to a recent worldwide data, mobile internet usage has finally surpassed the desktop internet usage. Take the example of Evo, an online retailer of outdoor gears and fashion apparel. The company noted that around 50% of their emails are opened on a smartphone. The Evo team implemented an updated, full-responsive and mobile friendly post-purchase email. It led to a 23% increase in the number of reviews on all devices in the following months. Moreover, the number of reviews on mobile increased by 107% in the first month and 203% in the second. The same goes for your review forms wherever you place them. Keep in mind; mobile devices have s smaller, touch-based screen. Review forms on mobile devices are filled out on the go. So, keep the amount of efforts from users as low as possible. Keep the number of fields less. Organize field’s order as per user’s perspective to ease scannability. Replace dropdowns with easily tappable solutions. The key to get more reviews on your product pages is let make it easy for your customers. Most online shoppers purchase multiple items at a single time. 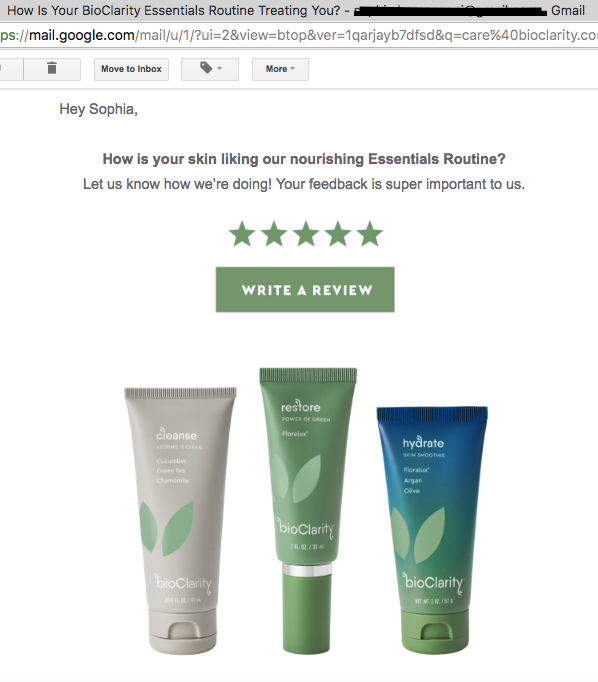 It seems awkward to send a different follow-up email to request reviews for each item. 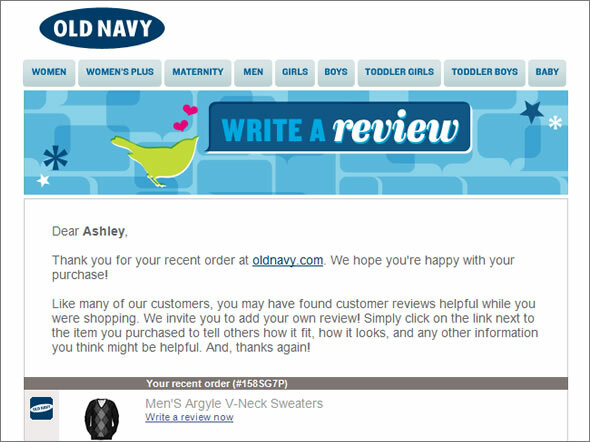 The best way is email your customers to review all recent purchases in a single email. Whether you are emailing from your own database or using a ratings and review platform for this purpose, including multiple purchases at a time significantly increases the amount on your ecommerce store. Product sampling programs work great for startups with a few customers in the beginning. Along with earning more reviews on your ecommerce store, you gain brand awareness and boost your sales. Everyone from food products to makeup and beauty brands to even dog food brands are benefiting from sampling campaigns. So, you should too! Product sampling is when a brand sends free samples of products to their ideal target market for their reviews. You’re launching a new product that has no customer reviews at all. Product sampling will not only increase the general awareness of your new product, but will also help drive valuable product reviews from the users. You have seasonal products and require a rapid inventory turnover. Win the seasonal competition by increasing your traffic and conversion with the help of a product sampling campaign. You need a highly targeted audience for your products. If current reviews are of a lower quality, consider a sampling program to drive robust reviews. Customers feel connected when they feel you hear them with attention and value them. If you don’t recognize or believe this fact, you could be missing out massively valuable reviews as well as customers too. A study revealed that 55% of customers who don’t write reviews cited needing a reward or recognition in exchange. One easy way to make your customers feel that they’re being heard is, give response to their reviews quickly. Next, share your reviews on social media platforms. You can directly share their quote. Make sure you give them credit for the review. Alternatively, mock up a beautiful image to share their precious review. Ease your job to gain more product reviews by using a reliable Ratings and Review software. 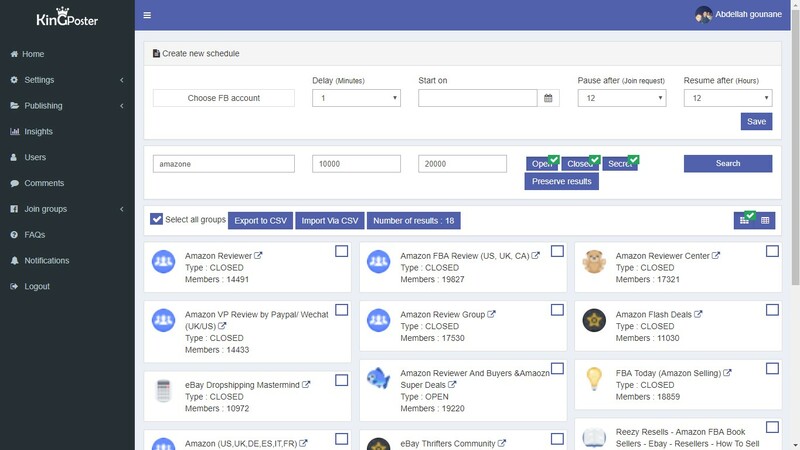 This tool enables you to facilitate all activities you need to perform to gain ecommerce product reviews. Collects content from various channels, including Post Purchase Emails, social media, and Write-a-Review forms. Showcases your customer reviews by applying various customizations to ensure increased conversions. Offers best-practice ways to host and showcase visual content like images and videos related to customers reviewing your products. Optimizes the content of product reviews for search engines, leading to increased rankings and traffic from organic channels. Syndicates all reviews brands generate to retailers or increasing the access of retailers to reviews from brands. Offers additional functionality to help boost your conversion rate, such as streamlined product Questions and Answers. Customers purchase your products, love and use them and come to your online store to write a great review. But, the truth is, most shoppers need an encouragement to write a review. Now the question is: What is the best way to encourage customers to review your products? The answer is: Send automated post-purchase email and request shoppers to write reviews for recently bought items. People love free stuff! Why not offer a free product for a great review? They offer compensation for the product review. Remember that your free product itself is the only “compensation” permitted. Asking people to leave a five-star review. People who receive the free item feel obliged to give your product a five-star review. Many times, the seller encourages the same implicitly or explicitly. You have to be careful! When you offer a free product for review, tell the recipient to provide an unbiased review, not a gushing one. Don’t forget that you are not allowed to pay people for reviews. If you receive a negative review, that is even more important to respond. Instantly work to fix the issue of the negative reviewer and help him out as soon as possible. One thing we want to tell you that you should be even happy to have a negative review sometimes. Surprised, why? Negative reviews facilitate you with an opportunity to turn a disappointed and unsatisfied customer into a lifelong customer. Negative reviews also show your willingness to resolve bad experiences quickly. It furthers the chance that they’ll choose you for their next purchase. The response to the complaint gets the job done right. Show your apology politely. Don’t blame the consumer. Provide them with your direct contact information. Explain how you will help resolve the issue and make the situation right. Sound human and show empathy. Customers want to talk with real people, not scripts. After resolving the issue of your customer, ask them to submit a new, positive review! This way, you can turn a bad rating into a five-star rating. 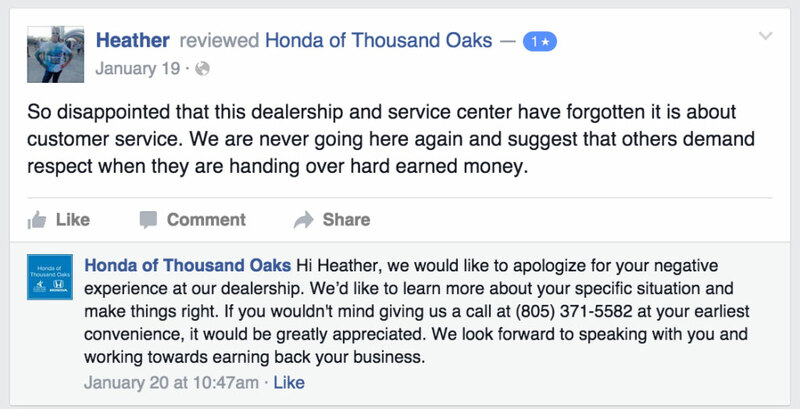 Asking your customers for a review is easy. But, many ecommerce stores forget to ask their customers for their product review. Moreover, customers are more likely to leave product reviews when you request, remind or prompt them to do the same. Remind your customers who purchase from you to provide product reviews as soon as possible. Most people write reviews on the product pages of your website. But, according to surveys and studies, email is the best way to get the best and quick feedback from your customers once customers have received their items. If you want feedback for your services or customer’s on-site experience, ask customers for reviews after their interaction with your store. Review of your customer service will keep your brand on the top of mind of people. Using deal websites can earn you hundreds of reviews each day. First, you have to register on popular deal websites. Then, post your products while offering for reviews. You have to pay some fees, which is very nominal as compared to the success you’ll achieve by posting on deal websites. If you get successful at managing interest in your products, it will be a great method of gaining reviews on your products. Facebook reviewers groups are flooded with sellers and reviewers. Post your products in these groups. 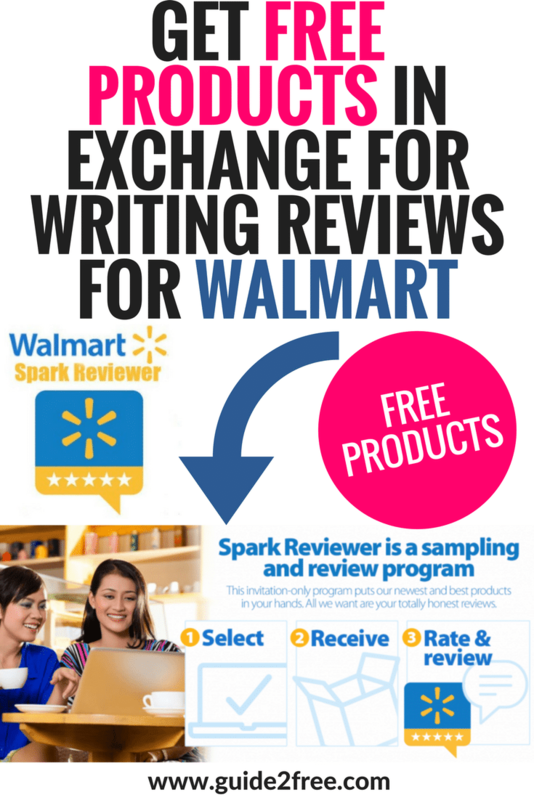 Most reviewers in these groups will ask you for incentives, discount or free product in exchange for reviews. Looking for reviewers like this is an easy method, and you can get reviews pretty quickly. Post a message and wait till someone gets interested right away. Second, request the admin of the group to promote your message and pay him in return. Though posting in Facebook reviewer groups poses some risks from competitors, this is the cheapest way to gain a few good reviews. If you have a low budget, then you must not ignore this method. Approaching each of your customers personally may require efforts and time. But, it certainly is worthwhile reaching out to your loyal customers and requesting them for their valuable reviews directly. You can also encourage your customer service team to do the same on your behalf, in a personal manner. For example, one customer received the following email from GetResponse after writing his honest reviews on their service. When he has done such personalized outreach in the past, the response rates have been very high. Don’t just come out and ask directly for a customer review. Instead, initiate a conversation using an open-ended question to kick-start the process. Ask the questions like “What makes you like this product?” or “Are you ready to review the product?” or “What would you like to say about the product?” You may start a conversation to gauge their satisfaction level before asking for the review. Avoid the mistake of asking a customer for a review before learning about their experience with the product. Use an open-ended question to collect feedback from your customers genuinely and to ensure the customer is happy before asking them to submit a review. Run an ad on Facebook or Google specifically to ask people to review your products. But instead of targeting every customer, only target people listed on your email list. Running a campaign for collecting reviews involves uploading customer email addresses to Facebook or Google. It will make these companies serve ads to your customers only. People often see ads from unknown companies. So, a message from a known, trustworthy business will be a breath of fresh air. While this method involves a little cost, retargeting is much cheaper than other methods of online advertising. 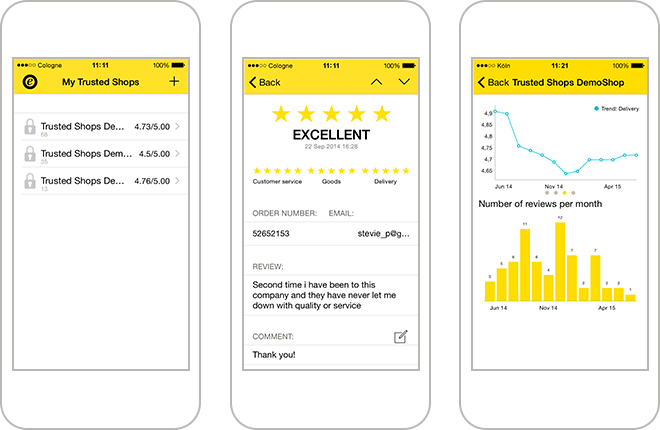 If your ecommerce store has an app, display messages within your platform asking customers to review your products. The best time to do this is when people have felt a moment of delight. Approaching people at the right time makes it easy to receive a more favorable review. Instagram occasionally asks people to review the app after they post a photograph. If your online store features a customer support forum, tap into it as a place to ask your customers for their honest reviews of your products. Customer support forums serve as places where customers congregate and help other customers. Ask customers to write product reviews on forums, and you may reward them for the same. Simply ask your close friend or family members to write reviews for products on your store. Easy, right? But, they must be willingly up to do you this favor. But, don’t overuse or abuse this method! All the ideas mentioned above will work only if your customers are happy. Keep your customers satisfied by offering the best products and quality customer services. If they are happy, they are more likely to review your products and recommend your brand to their friends and family. This idea can get you ecommerce product reviews without any effort at all. Just include a short CTA in your email signature with links to all your platforms available for review. For example, if you are using Facebook, Twitter and other channels, add links to your pages on these platforms. It makes it super easy for people to review your products without bothering about searching for a place to post their reviews. In the ecommerce landscape today, user reviews and ratings serve as powerful weapons to influence customers buying decisions. So, you can’t ignore them. As an ecommerce store owner, instead of fighting against the trend, embrace it. Also, keep in mind that customer reviews aren’t merely “nice to have” words anymore. They’ve become an essential part of marketing strategy for any successful ecommerce business. Launch-ecommerce ecommerce product review, online purchasing reviews, reviews and ratings for ecommerce. permalink. I believe this internet site holds some really excellent information for everyone : D.